London (Middle East Monitor) – Leaked excerpts from a censored Aljazeera documentary, released this week, have offered a glimpse into the workings of pro-Israeli lobby groups in the US. Short clips of the documentary said to be four 50-minute episodes long, reveal a number of prominent pro-Israeli conservative think tanks spearheading a fierce campaign against pro-Palestinian activists. In the clips released by Electronic Intifada, students can be seen boasting about receiving $50,000 dollars “plus benefits” for taking part in fake grassroots protests against pro-Palestinian activists. One of the students described their presence at the demonstration as “astroturfing” – a term used to describe fake political activism, which pretends to be grassroots-based. The same students are later seen holding “pro-Israel” signs at the demonstration. An expert interviewed in the documentary explained the common tactic used by pro-Israeli groups as taking corporate money and “manufacturing the image of a grassroot movement… by basically paying people to appear as activists”. The scenes in the clip are part of a segment showing how the Hoover Institute, a Conservative think tank, and Emergency Committee for Israel, a right-wing political advocacy group, “astroturfed” a protest against students organising a pro-Palestinian conference. 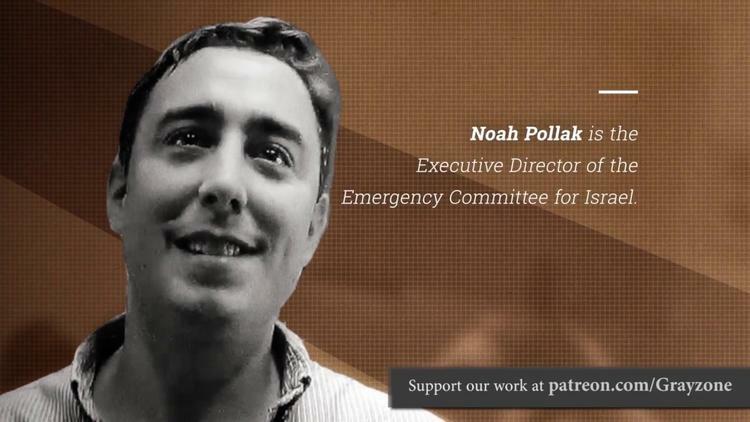 The segment shows Noah Pollak, executive director of the Emergency Committee for Israel telling the undercover reporter that they were “going to be more pro-Israel than you can imagine just to provoke everyone”. In revelations that may raise concerns here in the UK over the ongoing campaign against Labour leader Jeremy Corbyn and allegations of anti-Semitism, the films reveal that the Israel lobby operatives not only rely on information provided by the Canary Mission but that they also coordinate their activities with the Israeli government. The revelation, according to the Electronic intifada, could help explain more recent reports that the Canary Mission profiles are being used by Israeli border officials to deny Palestinian Americans entry to their homeland. Milstein, who this week denied funding the Canary Mission, is a high profile figure within the pro-Israeli lobby scene and a close associate of Sheldon Adelson, the billionaire tycoon who is reported to have funded President Donald Trump’s election campaign in return for his promise to move the US embassy to Jerusalem. While the full documentary has been censored for now, those who have seen the entire documentary during a private viewing have concluded that details uncovered by the Aljazeera journalist show examples of possible illegal Israeli spying on US citizens and the lobby’s fear of a changing political mood. Middle East Monitor is a not-for-profit press monitoring organization, founded on 1 July 2009, and based in London. Journalists who have written for it include Amelia Smith, Diana Alghoul, Ben White, Jehan Alfarra and Jessica Purkiss. The editorial line straddles the British left and the British Muslim religious Right.